Take one of the larger tour boats and you will see only a fleeting glimpse of the beauty of the 1000 Islands. But let me take you for a private tour in my 29′ houseboat and you will see what you have missed on the larger tour boats! 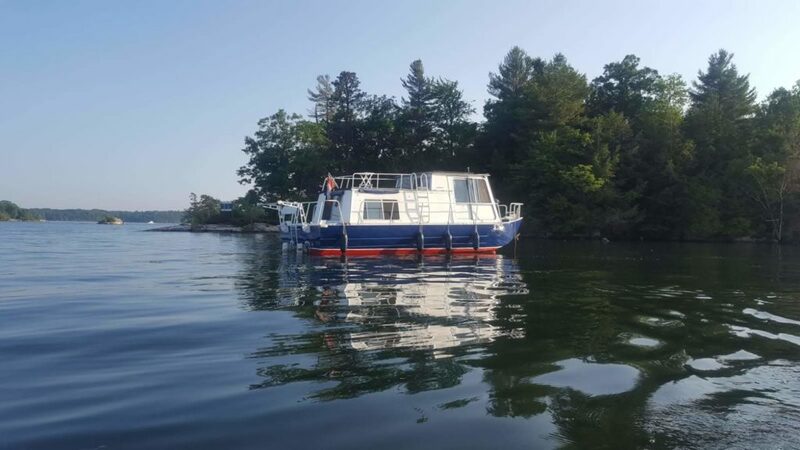 My boat and knowledge of the St. Lawrence River await you for an “up-close” and “personal” look at the many wonders the 1000 Islands area has to offer. You can sail with the foreign ships on the Seaway, stop for a relaxing swim or just cruise the day away enjoying the beautiful 1000 islands. I will take you into the bays and channels and show you things that you cannot see from the larger boats. You will learn the stories of the rich and famous, and sometimes infamous, that have built many mansions throughout the islands. All tours start and end in the heart of the 1000 Islands, Ivy Lea.